Most of us recognize that the world is increasingly connected and that infectious diseases know no borders. We are aware that returning travellers, refugees and immigrants can present with illness related to a tropical disease or parasitic infection acquired outside of Canada. However, we are not always pro-active in adequately screening our patients for these infections. Although an elevated eosinophil count has long been recognized as a key diagnostic clue of a parasitic infection, it is often overlooked. A recent case of eosinophilia and Strongyloides hyperinfection and new screening guidelines from both Canadian1 and US2 expert groups have influenced my practice. Mr. L. is 46 years old, immigrated to Canada from Vietnam in 1992, and was previously in very good health. This past September, progressively worsening headaches led him to seek medical attention at the emergency department where a CT scan was done and showed evidence of brain metastases from a lung primary. He was started on high dose dexamethasone and referred for bronchoscopy and further oncological management. His routine blood work was normal apart from an elevated eosinophil count – which was overlooked. Over the next few days to weeks, on steroids, his headaches improved, but he began to feel itchy. His first bronchoscopy was non-diagnostic. His repeat bronchoscopy confirmed lung cancer, and the microbiology technician observed an unusual pattern in the normal respiratory bacteria growing on the petri dish – some of the bacterial colonies were spread out in linear tracks. This was an incidental finding, but, to the trained eye, was characteristic of the presence of Strongyloides larvae. Further testing confirmed that Mr. L. had Strongyloides hyperinfection, a potentially fatal disease if not treated early. Strongyloides is endemic throughout most of the world, especially tropical, sub-tropical, and developing countries. Asymptomatic strongyloidiasis can persist for decades after immigration. Eosinophilia, a useful indicator, is not always present. If left untreated, in the setting of immunosuppression with even relatively short courses of steroids, it can result in severe illness or death through disseminated disease. Mr L. had acquired Strongyloides infection years ago in Vietnam. Other than his elevated eosinophil count he was entirely asymptomatic. Only when he was given steroids did the infection become symptomatic as the larvae began to replicate in very high numbers unchecked by his suppressed immune system. Fortunately, he was diagnosed in time and did well following treatment with ivermectin. The Canadian Collaboration for Immigrant and Refugee Health (CCIRH) recommends screening all refugees arriving from countries in Africa or South East Asia for strongyloidiasis using serology.1 Additional serology for schistosomiasis is recommended for those from Africa. The US Centre for Disease Control (CDC) and the Division of Global Migration and Quarantine recommend serological screening for strongyloidiasis for all refugees regardless of region of origin.2 In addition, they recommend that all refugees are screened with a CBC (looking for eosinophilia) and stool O&P examination. Schistosomiasis serology is also recommended for refugees from Sub Saharan Africa. In view of the prevalence of parasitic infections among refugees, and the extremely high mortality rate of disseminated strongyloidiasis, I support comprehensive screening for eosinophilia, stool O&P examination, and Strongyloides serology for all refugees, especially those from Africa or South East Asia. I consider serologic screening for Strongyloides mandatory for all patients who have a history of residence in a tropical or sub-tropical country and require immunosuppressive therapy (corticosteroids, transplant, or chemotherapy). Serology for Strongyloides can be drawn at any outpatient laboratory and will be forwarded to the national reference laboratory in Montreal for testing. Unlike stool examination, serology has excellent sensitivity for the detection of Strongyloides infection. Patients with unexplained eosinophilia or parasitic infection can be referred for consultation to the tropical medicine clinic at the Diamond Centre, Vancouver General Hospital. Our fax number is (604) 874-4013. United States Division of Global Migration and Quarantine and Centre for Disease Control. Guidelines for Evaluation of Refugees for Intestinal and Tissue-Invasive Parasitic Infections during Domestic Medical Examination. http://www.cdc.gov/immigrantrefugeehealth/guidelines/domestic/intestinal-parasites-domestic.html Accessed November 1, 2012. The Health Canada Special Access Program. http://www.hc-sc.gc.ca/dhp-mps/acces/drugs-drogues/index-eng.php Accessed November 1, 2012. It was very refreshing view of looking at elevated eosinophil count. It is certainly very useful in my practice that has high percentage of immigrants from South Asia. Eosinophil counts are not reported on Interior Health automated differentials. I used to find these counts useful. now, they have to be ordered specifically. Nice to see this summary of the CCIRH guidelines as well as and a relevant case study. good info. Any figures re the actual incidence? Interesting article on a group of illnesses that I feel I do not know much about. I think we often do think of these types of things in people with an obvious travel history, but the problem is that travel is only a risk factor and we all know that risk factors alone don’t pick everyone up with the disease. Just to name 2, I know of cases of Cryptococcous gatii and Typhoid without any risk factors or travel to emdemic areas. I am sure the same holds for many of these parasitic infections. It seems like we need a guideline for workup of eosinophilia for all patients, keeping in mind what would be cost effective. I am not sure how many of our patients have undiagnosed eosinophilia right now…perhaps this could be a lot? I, too, appreciated having the guidelines summarized. I don’t believe we should have to ask for an eosinophil count at Interior Health; it should be part of a CBC. Thank you for this excellent case presentation. I confess I knew nothing about strongyloides infection (I even have a hard time pronouncing it). I too will change my practise. I do a fair amount of work at YVR so a fair number of the patients we see are from the endemic areas and this information will I’m sure be useful in the future. This information is useful. I have a number of immigrant patients and travellers from areas at risk for parasitic infections. Interesting.One’s education continues. you don’t mention his Ca Lung. How did he get into Canada and would that likely not be a potential life limiting issue? This is very relevant to my Hospitalist practice in Burnaby as we have patients from all over the world. I will watch for eosinophilia more carefully in future! Thanks to my background medical degree from Hong Kong, where tropical and parasititc diseases course was manadatory, we have been taught even 45 years ago to use eosinophil counts as “allerts” to parasitic diseases. Thanks for the informative review. Lots of immigrant patients and I never knew there’s even a Tropical Medicine clinic at VGH which I could refer to… Two years ago I had a returning traveller from South Asia who presented with delirium and a 40+ degree fever 4 months after her return, sent to VGH Emerg specifically for malaria work up, and had a resident call me to argue that this patient would NOT need any malaria blood smears. I think more time and resources was spent to convince me that the workup was redundant, than to actually work up the patient. Anyways, I digress. Any similar tropical medicine / parasitology referral center that will see children?? I often have cases of perianal itch / failure to thrive etc in toddlers who turn out to have an eosinophil count… but we never find anything on repeated Stool O&P attempts…. Useful reminder, especially in this age of diverse travel by all age groups. Will definitely pay more attention to this. Travel to South Asia is increasingly popular among my young adult patients. They will be more carefully screened in future, and their eosinophil counts will be more closely looked at. By the way, how does raccoon roundworm present in children? Hi! Thanks for the interest in this topic. Please see the replies to your comments below…. 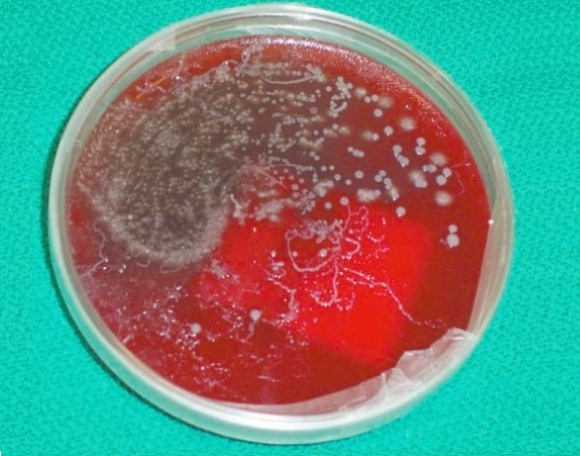 Strongyloides infection is difficult to detect on stool examination, but is very common globally and affects between 10% – 40% of people in tropical and subtropical countries. A Canadian study by Gyorkos et al in 1990 documented strongyloides infection in 12% of Thai and 77% of Cambodian refugees. Unfortunately no accurate figures are available regarding the incidence of complicated or fatal strongyloides hyperinfections in Canada – cases are infrequent, but it probably happens more than we know as it may be missed and death attributed to just sepsis in an immunocompromised host. With increasing immigration from SE Asia, Africa, and Latin America, and increasing use of immunosuppressive therapy we have to be pro-active in screening efforts. Great question – take an extra second to check the eosinophil counts – especially foreign-born patients from Asia, Africa, and Latin America! He immigrated to Canada 10 years prior – he was fit and didn’t have lung cancer then. This illustrates the point that strongyloides can be a chronic asymptomatic infection, only causing problems many years after immigration. Our tropical medicine clinic at VGH (Diamond Centre) is happy to see patients with eosinophilia and any other tropical disease concerns. For children – the pediatric infectious diseases team at Children’s Hospital – the clinic telephone number is 604-875-2438. Acute eosinophilic meningo-encephalitis – extremely rare, but good to keep on the radar and definitely not to be missed in a patient with unexplained brain dysfunction and eosinophilia. It can also cause eye disease similar to ocular larva migrans from toxocara (dog roundworm) – but the CNS disease is the biggest worry. It has a range of severity and may even be mild or subclinical – but most documented cases have had dramatic neurologic deterioration with generalized brain dysfunction leading to death or profound disability. Good reason to make sure our kids, or anyone else, don’t inadvertently ingest soil contaminated by raccoon stool.